Interested in our references? Please download our reference list. The following reference list is a compilation of APPA company orders and representative projects of our key personnel, where they have been substantially involved throughout their working life. This list covers selected projects only. Emphasize is given to more recent projects. Supplement to the Power Augmentation Study from 2013 APPA has been awarded with the implementation study investigating to best possible power output improvement for 24 gas turbines in operation on 3 different locations. Based on the power augmentation study established in 2013 by APPA the client decided adding new power augmentation equipment in a certain ranking of importance. All 24 gas turbines are of the GE Frame 9E type. However due to different date of purchasing and manufacturing all related equipment had to be evaluated individual because of different power transfer limits of the equipment (generator, leads, transformers). The Study brought out the best combination of power augmentation being used for each gas turbine. APPA had been appointed further for design review, relocation, coordination of equipment delivery, water supply and water treatment plant and completeness of equipment for the function of the Evaporation Cooling and Water Injection equipment. MHIE selected APPA to perform proposal work for the CCPP Eren/Corlu in Turkey. Main tasks were on design and equipment configuration, as well as preparation of deviations and clarifications to the tender document. In 2013/14 the client Mitsubishi Heavy Industries Engineering (MHIE) of Austria intended to participate in the power plant project Eren/Corlu / Turkey. APPA has been assigned to prepare cycle calculations based on highly fluctuating steam extractions and inductions, optimizing the steam cycle process based on various steam turbine concepts and models. Establish deviation and clarification table out of the tender document for all mechanic, electric, instrumentation and civil work sections. APPA has been awarded the owner´s engineer position for conversion of an open cycle gas turbine plant into a combined cycle power station. In 2013/14, MGH International decided converting the existing open cycle power plant in Duhouk with a new add on steam power plant into a full combined cycle power station. The power plant with an installed capacity of 1000 MWel will be extended to produce an additional 500 MW for the Kurdistan network. Currently 8 gas turbines are in operation, all of General Electric Frame 9E type. The new power station shall be equipped with HRSG’s, steam turbines and ACC condensing tail in the configuration 4:4:1 whereas each 4 gas turbines are feeding 4 HRSG’s and one steam turbine. APPA has been awarded the owner´s engineer position, to elaborate the tender documents (the MDC), to negotiate all technical design subjects, criteria, and functions with the EPC contractor, supporting the plant engineering and equipment configuration, controlling BOP basic and detail engineering. After successfully completed the advising services for Wloclawek power plant PKN Orlen, APPA has been appointed again by Polska for advising services for a 500+ MW CCPP in Plock. APPA supported the Client on performance evaluation for all CCPP bids and in the process of the LTSA bid evaluation, bid improvements and LTSA contract comparisons and negotiations with shortlisted bidders. In 2013-2014 PKN Orlen Polska contracted APPA to provide owner´s advising services for a 500 MW CCPP (CCHP) power plant in Plock / Poland in the negotiation and evaluation process. APPA’s services comprised of advising support, evaluation of the performance guarantee from technical bids, prepare performance evaluation documents in line with client’s evaluation criteria. In parallel, the Client has been supported throughout the process of the LTSA bid evaluation of all shortlisted bids and LTSA contract negotiations. APPA was awarded the owner’s engineer position for the conversion of an open cycle gas turbine plant into a combined cycle power station. 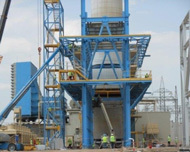 In 2013, MGH International decided converting the existing open cycle power plant in Erbil with a new add-on steam plant into a full combined cycle power station. The power plant with an installed capacity of 1000 MWel is converted for the purpose of producing additional 500 MW for the Kurdistan network. Currently 8 gas turbines are in operation, all of General Electric Frame 9E type. The new power station shall be equipped with HRSG’s, steam turbines and an ACC condensing tail in the configuration 4:4:1 whereas each 4 gas turbines are feeding 4 HRSG’s and one steam turbine. APPA has been awarded being the owner’s engineer, acting on behalf of the owner, supporting the plant engineering, making design review, equipment configuration decisions, controlling BOP basic and detail engineering, supervising site installation works, controlling the progress on civil work, equipment erection, commissioning, trial run, bunch list item control and support through the guarantee period. For new and existing simple cycle power plants based on General Electric Frame 9E gas turbines an evaluation of all available options for power augmentations, cost impact, energy requirement, benefit and risk assessment was performed. In 2013 during the decision process for the installation of a new combined cycle add on to the existing gas turbines MGH International intended to gain more flexibility on the gas turbines. A conceptual and investment study should evaluate the possible output improvements, investment costs and impact on the new conversion project. APPA had been appointed to provide the study, to establish a comparison of all kinds of gas turbine augmentation available world-wide, cost and output improvement comparison, water requirements, return of investments, combination of different power augmentation concepts and impact thereof. Also the possible impact of implementation on the operating gas turbines, emissions and impact analysis, conceptual plant and system layout, the executive summary. In 2013, MGH International decided converting the existing open cycle power plant in Sulaymaniyah with a new add on steam power plant into a full combined cycle power station. The power plant with an installed capacity of 1000 MWel will be extended to produce an additional 500 MW for the Kurdistan network. APPA has been awarded the owner´s engineer position, to elaborate the tender documents (the MDC), to negotiate all technical design subjects, criteria, and functions with the EPC contractor, supporting the plant engineering and equipment configuration, controlling BOP basic and detail engineering, supervising site installation works, controlling the progress on civil work, equipment erection, commissioning, trial run, punch list items and support through the guarantee period. Owner’s advising support for improvement of power generation in a paper factory in Mexico. In 2013 Fabrica de Papel Islas, California approached APPA through Austrian partners requesting to prepare an investment study for a new 10 MWel combined heat and power plant (CCHP) for their paper factory in Mexico. APPA prepared the investment study based on different gas turbines available on the market, provided the project coordination, conducted configuration analysis, performance calculation, scope definition, CAPEX and OPEX estimates and provided the study including an executive summary. In 2012 the financial arranger and EPC contractor named Invar approached APPA Consult to provide owner´s advising services during the bidding phase for the combined heat and power plant within the petrochemical plant Ain Sokhna / Egypt. The plant size was based on 2 gas turbine units of General Electric 9E type. APPA supported the client with the full project coordination during proposal phase, preparation of the division of works of all parties, bid coordination, layout design support, CAPEX calculation, preparation of bid documents for mechanical, electrical and C&I systems, contract negotiation with the end customer, revision of the documents after redesign of the petrochemical plant. Preparation of bidding documents, CAPEX calculation, equipment selection, cost estimate, end customer negotiation. In 2012 the financial arranger and EPC contractor named Invar approached APPA Consult to provide owner´s advising services during the bidding phase for an open cycle power plant in the Badra Oilfields / Iraq, which is required to supply uninterrupted power to the adjacent petrochemical plant. The plant size was based on 4 gas turbine units from General Electric. APPA supported the client with the full project coordination during the proposal stage, preparation of the division of works of all parties, bid coordination, layout design support, CAPEX calculation, preparation of bid documents for mechanical, electrical and C&I systems, contract negotiation with the end customer, development of alternatives and different arrangements of the plant. Supplement to feasibility study APPA had also been selected to elaborate the technical EIA documents and drawings for approval by the authorities. In 2012 HEP (the national Croatian utility) started the project development for the installation of a new combined heat and power plant on the existing power plant site in the municipality of Osijek, owned by HEP. Based on the feasibility study, a power plant size of 500 MW was selected. APPA received the contract of preparing the technical parts for the environmental impact assessment (EIA). Works provided by APPA were plant configuration, conceptual engineering, coordinating the authority process with local partners, preparation of the technical report, finalizing emission and impact analysis, finalizing the conceptual plant and system layout, presentation, the HEP project team, the HEP executive board and to the authorities. APPA had been awarded the contract to elaborate a complete feasibility study. In 2012 HEP (the national Croatian utility) started the project development for the installation of a new combined heat and power plant on the existing power plant site in the municipality of Osijek, owned by HEP. A power plant size between 250 and 500 MW had been evaluated in the study. APPA together with a local contractor received the contract to conduct the feasibility study. Works provided for the study: APPA worked out evaluation of different options regarding plant configuration, size and concepts, fitting the plant onto the existing location, coordination with local partners as well as carrying out emission and impact analysis, analysis for concept selection for the cooling system (cooling tower or once through cooling supplied from the river Drava), conceptual plant and system layout, investment cost calculation, presentation to the HEP project team and to the HEP executive board. Supplemental to preparing the main proposal for Yanbu 3 power station, APPA supported the client on bid extension works as well as concept design change from a critical boiler design to a supercritical design. APPA coordinated the design changes for boiler and steam turbine, reviewed and negotiated equipment purchased from subcontractors and CAPEX calculation. In 2012 Al Arrab Contracting approached APPA to support the bidding process for the bid extension for the 2807 MWel conventional power plant Yanbu3 in Saudi Arabia. APPA’s assignment covered the project management, coordination with the nominated bidders, developing conceptual alternatives with suppliers B&W and Alstom, coordinating deliveries within the consortium ACC and CCC Greece, evaluation of price calculation for the entire plant equipment. BEMCO selected APPA as owner´s engineer to supervise the design engineer’s work for conversion of 40 SCPP to CCPP at the engineer’s premises. APPA’s responsibility was to check all mechanical equipment layouts and designs as well as execution time, plausibility of progress and progress report. In 2012 BEMCO / Lebanon & Saudi Arabia received a contract to convert 40 gas turbine units from OCPP into a CCPP. The combined cycle extension adds 1350 MWel to the existing power plant. The engineer designed new steam cycles to be added to 40 gas turbines in a 4:4:1 configuration consisting of 40 new HRSG-s from the Dutch company NEM, 10 new General Electric steam turbine, 10 air cooled condensers and the mechanical balance of plant equipment. APPA as owner’s engineer supervised basic and detail design works for BEMCO. APPA Services: Mechanical Plant Process engineering, BOP engineering advice, enquiry documentation check, time schedule control, evaluation of improvement opportunities for purchasing and the technological processes, project startup support for mech. BOP, FEED of engineering works, quality assurance and control. APPA completed the STRABAG Austria team with technical experts. The expertise provided included design, engineering, QA/QC and documentation for a DeNox add on to thermal power plants for projects in Poland, Austria and Brazil. In 2011–2012 design and engineering support for STRABAG Austria for a project adding new DeNox facilities to existing conventional power plants for petrochemical industries in Poland (PKN Orlen) and Brazil (Petrobras). APPA provided experts completing the STRABAG project execution team for the FEED, document controlling, purchasing, QA/QC, auditing and documentation works. Engineering, planning and plant optimization for the CCHP plant in Te-Tol Ljubljana. APPA advised the bidder regarding mechanical, electrical and C&I system design, cycle optimization, CAPEX calculation and bid elaboration. In 2011–2012 Civil & EPC contractor Rudis participated in bidding for the combined heat and power plant project in TE-TOL Ljubljana / Slovenia. The CCHP was planned to use 2 gas turbine units from Siemens (SGT5-800), 2 HRSG-s and BOP equipment (steam turbine in a separate lot) plus an optional third unit. APPA supported Rudis in developing the plant concept, heat balance optimization, performance guarantee and layout concept during the proposal phase. Energie AG Austria decided, after going into commercial operation, to implement an on-line monitoring system on their new power plant. APPA in cooperation with Simtec developed the system, obtained all required data and implemented the system. In 2011 Energie AG Upper Austria went commercial with their new combined cycle power plant in single shaft design with nominal 400 MWel. APPA developed and implemented an on-line monitoring simulation with configuration tools based on IPSE, implementation of online monitoring system after “bug-fixing” the OPC server of the DCS by OEM, implementation of graphical user interface to support the operators in efficiently operating their plant. In the startup phase of the contract execution APPA supported the consortium ACC & SEPCOIII for basic design, configuration selection, sub-contractors coordination, coordination with Siemens for the power train, the monthly progress meetings and establishing the project execution team. APPA also participated in the project design, engineering and progress meetings. In 2011, APPA Consult supported the EPC Contractor Al Arrab Contracting / KSA and Sepco 3 / China in the startup phase of the project execution. The project located in Saudi Arabia is based on 10 gas turbines in configuration of 5 CCHP plants for normal operation plus 2 additional simple cycle gas turbine units, in order to provide uninterrupted supply of 1350 MW to the nearby-located Ma’aden aluminum smelter. The main portion of the produced power is supplied to the adjacent Maa’den aluminum smelting complex. The remaining power is supplied to the SEC public grid. The massive steam extraction is delivered to operate the MSF desalination plant. APPA’s responsibility was to coordinate the Siemens power train (gas turbine, HRSG, steam turbine, DCS), to provide the enquiry documentation for selected BOP engineering, contract negotiation for the gas system, water treatment, steam condensers, steam piping as well as further planning and engineering support for electric BOP. The ACC and CCC consortium ordered APPA to prepare the bid documents, CAPEX calculation, concept design and engineering for 2708 MW Yanbu3 conventional power plant. In 2011–2012 APPA supported the consortium Al Arrab Contracting (Saudi Arabia) and CCC (Greek) in the bidding phase for the Yanbu3 extension power and desalination plant with a nominal output of 2708 MWel. The consortium was bidding as EPC contractor, supported by Alstom and B&W as nominated sub-contractors. APPA’s services comprised of developing concept alternatives with B&W and Alstom, heat balance optimization, performance guarantees, equipment configuration, coordination of B&W and Alstom, piping arrangement, FGD & De-NOx equipment, civil-work / 2D layout configuration and CAPEX calculation. PKN Orlen Polska appointed APPA for advising services for a 450 to 500 MW CCPP Wloclawek selecting the best possible and most cost effective EPC contractor. In 2011–2012 PKN Orlen Polska contracted APPA to provide owner´s advising services for a 450 MW CCPP (CCHP) power plant in Wloclawek / Poland in bidding and negotiation process. APPA’s services comprised of advising support, revising bidding documents (tender), establishing bidding documents for the LTSA bidding process, evaluation of the technical bids, negotiations with bidders for the major components: gas turbine, HRSG, steam turbine, layout concept development support, time scheduling and project setup. 5 bidders (with 6 different gas turbine types) have been negotiated with. Negotiations were continued further on with the shortlisted bidders until the preferred bidder was nominated. In parallel, the Client has been supported throughout the process of the LTSA bid evaluation of all shortlisted bids and LTSA contract negotiations. IGH d.o.o. Croatia selected APPA for advisor´s services on the 500 MW single shaft CCPP project in Obrovaç / Croatia. In phase 2 of the project development APPA provided the tender documents. In 2011–2012 IGH Projektiranje d.o.o was developing a project for a new green field combined cycle power plant of nominal 400 MWel close to Zadar, Croatia. The plant was based on single shaft heavy duty “F” class gas turbines. IGH appointed APPA for selecting the plant location, support during authority negotiation and elaborating a minimum functional specification for requesting proposals. APPA elaborated technical power plant documents for the EIA and coordinated with local firms, establishing all necessary documents until the location permit for the plant was granted by the authorities. In 2011-2012 IGH Projektiranje d.o.o extended the cooperation with APPA for the environmental impact assessment of the green field power plant Obrovaç close to Zadar with a nominal electric output of 400 to 500 MW. APPA had been appointed to design the plant layout concept considering minimum environmental impact (noise etc.) and optimized outgoing and incoming connections. Further works included the preparation of the technical report, the power plant information documents, documents and drawings for the authority approval, presentation of the project to the municipality and residents, the emission and impact analysis, a minimum water requirement study. Support had been given to the local partner by obtaining required information from the authority and carrying out public hearings. Engineering works establishing standard site documentation for future CCPP. APPA developed and established documentation for all the site and site related activities for AE&E. In 2010 Austrian Energy & Environment (AE&E) selected APPA to develop the structural basis for site documentation as a standard for future CCPP projects. APPA services consisted of providing of the QA activity & coordination plan, definition of functions, standard QA master plan, standard QA inspection & test plan. For site coordination procedures for delivery of material, erection, training, commissioning, trail run, handover to the client and site closing were developed. Basic design and engineering for the 2400 MW Ras Az Zawr IWPP. In the pre notice to proceed phase, before contract-start, APPA supported the consortium ACC & SEPCOIII for basic design and engineering, plant configuration, sub-contractors coordination, coordination with Siemens for the power train, the monthly progress meetings and supporting the project execution team. In 2010 the EPC Contractor Al Arrab Contracting and SEPCO3 contracted APPA for basic engineering support on a green field power and desalination plant in Saudi Arabia. 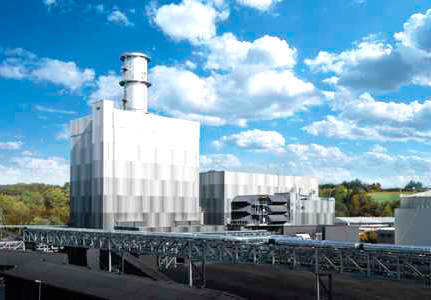 The 2400 MWel power plant is based on 12 gas turbines, 5 steam turbines from Siemens and 10 HRSG’s from Doosan. APPA was appointed by the EPC consortium to prepare basic engineering of BOPmech, coordination of the power train (gas turbine, HRSG, steam turbine), plant process engineering, establishing of project management process tools (Primavera, SharePoint). APPA was selected to accelerate the project management of the OCPP Tabouk / KSA project. ACC contracted APPA for the project management during the equipment installation phase. APPA took over the project management in an ongoing implementation process, continuing the erection, followed by cold tests and hot tests. In 2010 Al Arrab Contracting (ACC) had been qualified in the bidding process for an open cycle gas turbine power plant for Saudi Electricity Corporation (SEC) on the location of Tabouk, KSA. ACC approached APPA to support them in the bidding stage, bid preparation and contract negotiation for the power plant. ACC based the OCPP concept on 2 Siemens gas turbines SGT6-3000E each with a nominal output of 80 MW. After successful bidding and execution of the project, ACC requested APPA to take over the project management in order to speed up, in the middle of erection, continuing through cold and hot tests. Further on also for boundary limits coordination; contract coordination with SEC and with Siemens; electric installation supervision, sub supplier coordination and time scheduling. APPA was assigned the contract by the consortium ACC & SEPCO III to continue support in the bidding process for 2400 MW CCPP Ras Az Zawr, in order to carry out all necessary works during the bid evaluation process made by SWCC, the project owner. APPA continued to assist the consortium of ACC & SEPCO3 during the bid evaluation process for the Ras Az Zawr project / Saudi Arabia, made by SWCC. Further on, during this period, APPA’s services also covered coordination, as well as establishing a Q&A system, developing and structuring the PMO (Project Management Office), providing the organization chart and manpower schedule for later project execution. Finance Engineering and LGE extended APPA’s request for support to revise the tender specification for the CCPP Haskovo and compile all documents in conformity to EU regulation. In 2009-2010 in continuation of previous works for the client, the developer partners LGE and Finance Engineering contracted APPA to establish the EU conformity of the tender specification for the 2 x 130 MW combined cycle power plant (CCPP), close to city of Haskovo in the South East of Bulgaria. APPA works covered revision of all related parts of the functional specification to comply with the EU and World Bank requirements and the support for meetings with shortlisted financial lenders. In 2010 E-Steiermark / Austria appointed APPA to prepare the tender documents for a 10 MW steam turbine plant for the biomass power plant Baernbach in Styria. APPA provided the tender documents together with enquiry documents for steam turbine, related electric equipment, C&I and the condensing plant. Also the steam cycle calculation and the optimization of the process were conducted by APPA. The ACC & SEPCO III consortium contracted APPA to prepare the bid documents, CAPEX calculation, plant configuration, process optimization, concept design and engineering for the 2400 MW IWPP at Ras Az Zawr. In 2010 Al Arrab Contracting and SEPCO3 participated in the bidding process for the Ras Az Zawr power and desalination plant project to win the order as an EPC Contractor. The owner of the plant is SWCC Saudi Arabia. APPA was assigned as advisor for the tender preparation of the power island. For the 2400 MWel green field combined cycle power plant the gas turbine, steam turbine and HRSG’s had been pre-selected to be delivered by Siemens. APPA provided services developing conceptual alternatives together with Siemens, calculated and optimized heat balances under the contractual requirement of uninterruptable power supply to the Ma’aden aluminum smelting plant, the full transfer of power into the SWCC grid in case of either partial or full and sudden go off-line of the aluminum smelting plant, but keeping the power plant in operation. APPA prepared and negotiated all technical plant features, the performance guarantees, the plant auxiliary consumption of the total power plant. APPA was also calculating the CAPEX & OPEX for the complete power plant, covering the CCHP units and the two open cycle gas turbine units. VADO selected APPA to act as owner’s engineer in a 540 MW CCPP project in Qeshm / Iran. APPA’s works included power plant configuration, cycle optimization, preparation of tender documents, contractual documents, enquiries to sub-suppliers, negotiations with the client and chosen partners of Vado. In 2009 Vado Engineering was selected for the development of a 540 MW combined cycle power plant in 2:2:1 configuration on Qeshm Island / Iran. The power plant should provide power to an industrial free trade zone at Qeshm Island. The free trade zone should be part of the Iranian export program. APPA services consisted of preparing the tender documents for the development of the basic configuration, using two GT13-E2 gas turbines, two HRSG-s and one steam turbine. In a second phase, APPA provided all proposal documents, the technical contract documents, scope of work for the Vado equipment, configuration and conceptual engineering, main equipment selection, heat balances, layout, arrangement drawings, schematics, electrical, mechanical and C&I components. LGE and FE approached APPA for owner’s engineer support for the 260 MW CCPP Haskovo / Bulgaria. APPA provided the conceptual engineering, prepared the tender documents, layout, mechanical, electrical and C&I drawings. In 2009 Leveraged Green Energy / US and Finance Engineering / Bulgaria planned two CCPP blocks each of 130 MW on a brown field site close to the city of Haskovo in South East Bulgaria. The power plant was planned to provide continuous power to the national grid and, in addition, to supply emergency power to compensate the lack of production from solar power or wind power plants. APPA prepared the concept engineering, heat balances, minimum functional specification, layout, arrangement drawings, schematics for mechanical, electric and I&C. LGE and FE approached APPA to conduct a feasibility study and an equipment comparison based on the available gas turbines on the market. Three gas turbines (heavy duty and aero-derivatives) were pre-selected and compared. In 2009 LGE / US and Finance Engineering approached APPA for an evaluation of three different gas turbine types in the size of 40 to 60 MW (heavy duty and aero- derivatives). The task was to define the best suitable equipment for the client’s planned power plant with an output of 260 MW in a combined cycle power plant configuration as independent power producer (IPP). APPA delivered a conceptual study for three (3) different gas turbines and evaluated two (2) more gas turbines available in the market. As part of the works APPA performed for all options concept engineering, heat balances, configuration study, fitting to the purpose evaluation, performance and output evaluation, degradation of gas turbines, comparison of CAPEX & OPEX calculations over different periods of time, market reference study, the overall economic evaluation and comparison and an executive summary. Based on a long term frame contract Energie AG Upper Austria contracted APPA to supervise the performance test and evaluate the results of the gas turbine power plant (CCPP) in Timelkam / Austria. In 2009 based on a long term frame contract Energie AG Upper Austria contracted APPA to supervise the performance test and evaluate the results for the CCPP in Timelkam / Austria. As main equipment supplier and EPC contractor, Siemens have had been selected already. The installed equipment was one Siemens SGT5-4000F gas turbine and one steam turbine with ancillary equipment. The performance test was evaluated on the IPSE simulation tools (SIMTECH). In addition to these works APPA supported the client in negotiating a LTSA for the turbo set only and alternatively for the complete combined cycle power plant. Achieving the ISO certification for APPA has been performed as an internal project based on the project management tools of APPA. In 2009 APPA applied for the ISO 9001 certification at TUEV South, Munich / Germany. In an internal project APPA implemented all required systems and processes, deployed the integrated management tools and passed successfully the internal and external audits. The project has been completed in short time, receiving the ISO 9001 certificate from TÜV-SÜD in the same year. Portugal based company Efacec contracted APPA as owner’s consultant to give support in the bidding for a 112 MWel and 116MWth CCHP in Bucharest South / Romania. In 2009 Portugal based company Efacec participated in the bidding for a 112 MWel and 116MWth CCHP in Bucharest South / Romania. The EPC contract was based on one GE 6FA+e gas turbine. APPA prepared the concept engineering and carried out the pre-tender meetings with the investor ELCEN and Unit Invest. Further on APPA prepared the process calculations and heat balances, time schedule, layout and arrangement drawings, schematics, proposal documents for mechanical equipment, provided “deviations and clarification” list to the tender documents and the CAPEX calculation of the entire project. A-TEC PPS assigned APPA to carry out site audits at the 919 MW CCPP Bandirma / Turkey site location, providing periodical status review and quality report. A-TEC PPS assigned APPA to review the status and execution of the management of the project execution team. In 2009 A-TEC PPS in Austria assigned APPA to review the project status and project execution management for the 919 MW CCPP project in Bandirma / Turkey. APPA services covered interviews with the core project management team members, review of schedule, review of project management execution implementation, status and possible improvement report and report to the management. A-TEC PPS selected APPA to establish a project execution management system for the execution of CCPP Bandirma. In 2008–2009 A-TEC, the Austrian EPC contractor executing the CCPP Bandirma / Turkey, based on 2 gas turbines from Mitsubishi Heavy Industries / Japan reviewed their project management system. APPA services covered the review of the existing system, tuning of workflows, detailing and revising procedures, training of the personnel. A-TEC PPS selected APPA to prepare the mechanical BOP part for their proposal for an 800 MW CCPP to RWE in Weisweiler and an 800 MW CCPP in Weihe, both in Germany. In 2009 the client AE&E (A-Tec PPS) of Austria intended to participate in the power plant projects Weisweiler and Weihe for RWE Power AG / Germany. Each of the projects was sized by RWE to have a nominal output of 860 MW and to be configured as CCGT power plants. APPA was assigned to prepare the mechanical BOP equipment part of the proposal, analysis of tender, preparation of clarifications and deviations, the concept engineering based on 2 gas turbines MS701x from Mitsubishi Heavy Industries for each site, the preparation of the bidding documents and supporting the A-Tec proposal team in the negotiation with RWE Power AG. A-TEC PPS selected APPA to prepare the mechanical BOP part for their proposal of a 2 x 450 MW CCPP to SPE in Navagne / Belgium. In 2009 the client AE&E (A-Tec PPS) Austria intended to participate in the tendering process for a 900 MW combined cycle power plant project for SPE Navagne / Belgium. APPA was appointed to prepare all required bidding documents for mechanical BOP equipment. APPA prepared the proposal documents for one 900 MW CCGT power plant. APPA services consisted of the analysis of tender documents, preparation of deviations & clarification, the concept engineering, layout design (due to site requirements the power plant was designed as two separate single shaft power plant units with partly common equipment). APPA was further responsible for assessing the minimum water requirements for the power plant, defining cooling water system and the terminal point for adding make up water into the plant cycle. Energie AG Austria assigned the contract to APPA to implement an online monitoring system for the 400 MW CCPP Timelkam / Upper Austria. In 2008–2009 Energie AG Upper Austria assigned the contract to APPA to implement an online monitoring system for the combined cycle power plant with a nominal output of 400 MW. Main contractor to the client was Siemens. The plant started commercial operation already before the equipment for the monitoring system could be purchased and implemented. The on line monitoring was based on IPSE simulation tools. APPA services included the interface definition and location for signaling of the entire process, the online monitoring system configuration, measuring device list and the implementation based on IPSE. Part of the contract was to coordinate with Siemens the data interfaces to the plant equipment. APPA was assigned the contract by Energie AG to conduct the second performance test in the CCPP Timelkam / Austria. In 2008-2009 Energie AG Upper Austria selected APPA Consult to conduct the second performance test for the gas turbine power plant with a nominal output of 400 MW. Siemens was the main contractor. The equipment to be tested was a Siemens SGT5-4000F, a 3 pressure / reheat HRSG and a steam turbine. Performance test evaluation for the client was based on IPSE simulation tools. APPA provided the services as technical advisor to the owner for the performance test procedure and evaluation of the results of the operation points at 100%, 80 % and low part load at 25%. Support was given to the owner during reliability test run and after improvement and modification by the EPC contractor on the repeated tests, further in negotiations between the owner and Siemens. Voest Alpine Stahl (VAS) placed an order to APPA to conduct a feasibility and conceptual study to utilize low grade process gases from an adjacent steel mill in a thermal power plant. In 2008–2009 Voest Alpine Stahl (VAS) intended to build a new steel mill on an undisclosed location. APPA was assigned the contract to conduct a feasibility and conceptual study, utilizing low grade process gases from an adjacent steel mill in a thermal power plant with a nominal output of 370 MWel. APPA services covered the evaluation of several thermodynamic concepts either in combined power plant or in conventional power plant technology. APPA carried out technical evaluation of the concepts regarding fuel aspects, lifetime, operation ability, phasing possibilities, reliable gas turbine types and their capabilities to burn steel mill process gases; CAPEX & OPEX calculation; revenue stream comparison of the different concepts, emission calculation, and the report to the client.